Hey there! 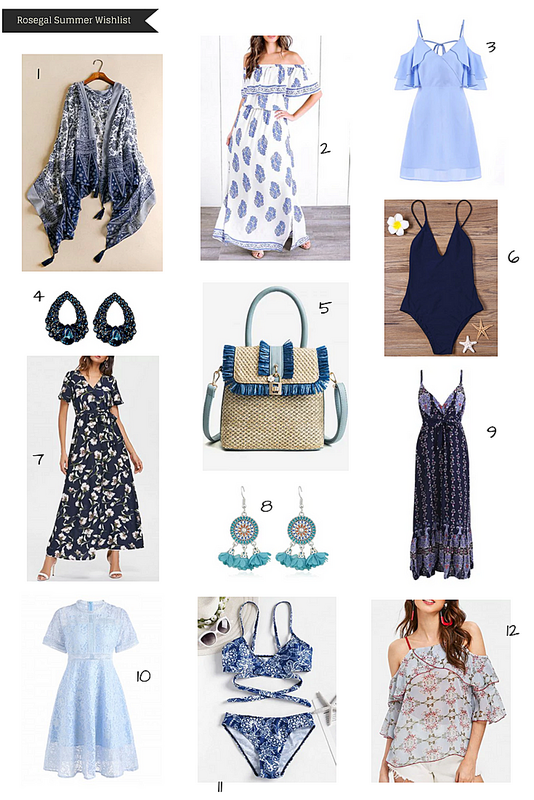 For this post, I've curated 12 summer additions to your closet from Rosegal. Oh, and they are all in different hues of blue. Blue is the color of the sky and the sea. I love this color. It's very calming. That's the reason why I choose this color for our home interior as well. So yeah, do check out my summer picks below. Also, Rosegal is running a promotion right now. If you buy $25 worth of items and you only get to pay $22. Buy $50 and pay $44. Buy $100 and pay $88.